Four more North Korean suspects are hunted by Malaysian police in connection with the murder of Kim Jong-nam. 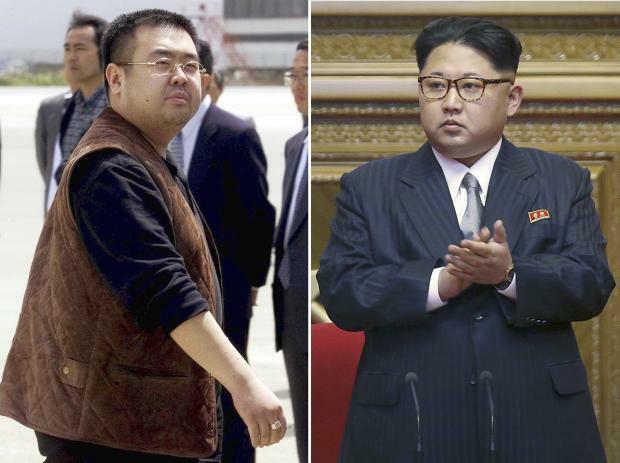 The men are said to have left Malaysia on February 13, the day the half-brother of North Korean leader Kim Jong-un was killed at Kuala Lumpur airport. Four other people have already been detained. Malaysian police believe poison was sprayed into Kim Jong-nam’s face as he waited to board a flight to Macau. Deputy national police chief Noor Rashid Ismail identified the North Korean suspects in a press conference on February 19. The four already in custody are an Indonesian woman, a Malaysian man, a woman with a Vietnamese passport and a North Korean. The Indonesian national, named as Siti Aisyah, is said to have told Malaysian police she had been paid to perform what she thought was a prank. Kim Jong-nam is believed to have been attacked in the airport departure hall on February 13 by two women, using some form of chemical. A grainy image taken from security camera footage, which has been broadcast in South Korea and Malaysia, shows a woman wearing a white T-shirt with the letters “LOL” written on the front. Despite widespread speculation that North Korea was behind the killing, there has been no proof. Pyongyang has made no public comments on the issue. Kim Jong-nam was largely estranged from his family, after being passed over for the North Korean leadership in favor of his youngest half-brother. He spent most of his time overseas in Macau, mainland China and Singapore.